The best way to raise a strong son is to give him plenty of contact with a strong father. Mothers can of course teach sons to grow extremely well, but there is no substitute for a father and his guidance. Many people might take offense to this, but this fact doesn’t suggest that mothers are inferior in any sense at all. It just means (as reason and logic states) that mothers are not equipped to 100% understand the life of male adolescence from an experiential standpoint. Fathers being irreplaceable in no way invalidates the fact that mothers are also irreplaceable. It’s a shame that illogic and offense can take away from these truths, as you wouldn’t expect a father to speak with authority to his daughter about how it feels to develop as a female in puberty. With this mindset of knowing the strength of fatherhood, it pays to know how to provide time for them both to discuss these ideas in a natural manner. The best way for men and boys to learn is to go out and do something, anything, but preferably something active and with a goal in mind. This is because in general, men are psychologically adapted to find things interesting, whereas women are more interested in people. This generalization lends itself to the ‘girls play with dolls, boys play soldiers’ mentality, despite there obviously being no intense rules for this to be the case, or neglecting the fact that there is overlap to be found. Fishing is one of the best hobbies for a son and father because it allows for a meditative experience to wash over both of them. In the span of teaching patience and waiting for a bite, a father can talk to a child deeply about school, life, his desires, challenges he’s facing and fears he might hold. He can reassure in a completely private space, with the potential catch of a fish waiting just under the surface. You might choose to sit next to a fishing bank with a license, or simply purchase your own boat and fit an engine such as a trolling motor found here. A boat can help you explore a long lake or still river and experience a journey as well as the fishing excellence – which can be important for children who struggle with patience. Hunting can be a great sport for you and your child, provided ethical and sustainable hunting is something that fits your personal value. Learning to bowhunt animals with culling quotas can not only help reduce their population in an ethical and humane manner, but can bring you both pounds of beautiful and completely grass-fed meat to take home. Hunting also teaches patience, and quietness, and the ability to stay humble in your efforts. It can also provide time for both your child and husband to converse about things, as the great outdoors can often lead to the most natural and in depth talks. And your child could potentially learn survival skills that might benefit them in later life. Martial arts are one of the best methods to learn discipline and etiquette, particularly for children. While the father and son will likely be placed in separate classes for juniors and seniors respectively, that does not mean either will suffer from a lack of engagement. Learning something as intensive as this can help your son understand the value in starting something from scratch, heading out of your comfort zone, and seeing his dad do the same will compound those ideas. When a son sees it’s okay for even his father to be a novice at a new enterprise, he will feel little shame in thinking outside of his own box, and could potentially get fitter by the session. While video games can be a great way for father and son to bond, a natural discipline like this can teach them both skills for life. Also, martial arts teach temperance, which is excellent if your child suffers from anger, a temper or physically lashing out, as it gives them an outlet and naturally teaches them discipline and perseverance. In the eyes of many boys, reading is usually something that literate girls find more use in during childhood. However, a father and son committing to a book club together can experience some excellent ideas, and together become exposed to excellent plots that they can discuss and think of together. This experience can help them bond intellectually, at least to the degree that the age of the child allows. You needn’t introduce your child to Dostoyevsky at eleven years old. If it helps your son become more comfortable with reading for pleasure, father and son might both read a novella written about his favorite video game. For example, the Halo series has a list of perfectly competent and interesting books written for them. It’s essential to know the power of literacy, and discussing books and stories can give any young boy the capacity to pause for thought, read between the lines and form attachments to characters they admire for their virtues. Contact time between father and son is not just critical, it’s practically a fundamental need to build any form of healthy masculinity or confidence. 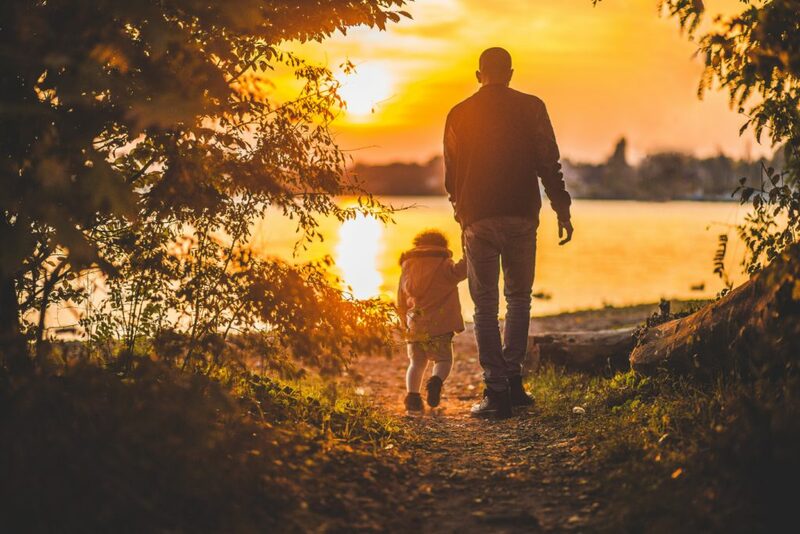 Boys and their fathers need each other, and so finding each other within these activities listed, and a whole host more like camping, watching movies, hiking and even crafting can teach practical skills, and set up the competence of your son for life. At the very least, even if your child learns nothing, he will keep cherished memories for the rest of his life.